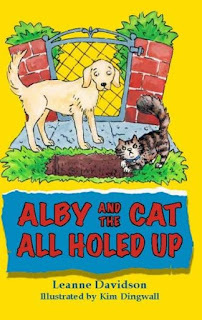 Alby and the Cat All Holed Up is the third instalment in this delightful series about a clever guide dog and his mischievous feline friend. While they are there, Alby notices a familiar face in the crowd, a young boy who previously terrorised him and caused him great distress. Alby is agitated and can’t stop thinking about the boy. Cat advises Alby to take revenge but in an unexpected turn, Alby gains the upper hand and has to make an important decision. What should he do? Forgive and forget, or make the boy pay? Leanne Davidson wrote this series based on her father’s experience with guide dogs. Leanne’s dad was blinded in an industrial accident years ago and had a beautiful black guide dog called Duke for 13 years who changed his world. Leanne wanted the readers, and children in particular, to know how wonderful and special guide dogs are, and the difference they make in the life of a visually impaired person. 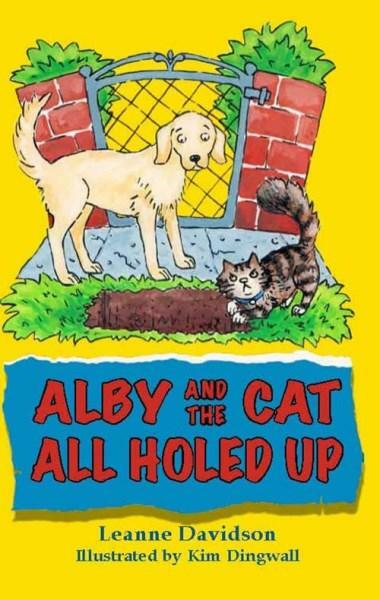 Alby and the Cat All Holed Up is a lovely book about friendship, courage and the power of forgiveness. It a great tool for educating young children about how to behave around visually impaired people and guide dogs, and is highly recommended.